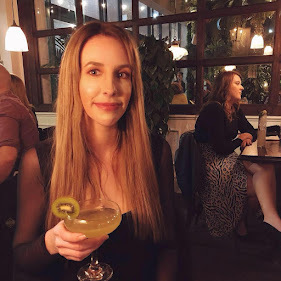 As you may all be aware, last September I bought L'oreal's Paris Preference Wild Ombres Hair Dye kit in the shade No.3 (review here if you were wondering!) and here is a little update and some photos. It's been 4 months since I applied the dye to my hair and I still absolutely love it. The ombre has changed a little in colour however. I remember when I first did it it was a little ginger and my friends kept asking me why I suddenly had ginger hair but somehow over the last few months the brassiness has toned down to more of a honey blonde which is just as nice. As expected with using hair dye it did make my hair a little dry but since I've started using Tresemme's Liquid Gold Argan Oil (review here) it's completely changed the way my hair feels so if you were thinking of using this hair dye (or any other) then I recommend using argan oil afterwards as it nourishes the hair after using the harsh chemicals. I did say in my original post that I was thinking of buying another box of the ombre dye and making the blonde even more gradual and a little lighter but I really haven't felt the need to. I did buy another box of the dye when it was about £2.50 in ASDA for when I needed to do it again but I don't think I will need to use it. At the moment I'm perfectly happy with my hair and still loving the ombre trend. 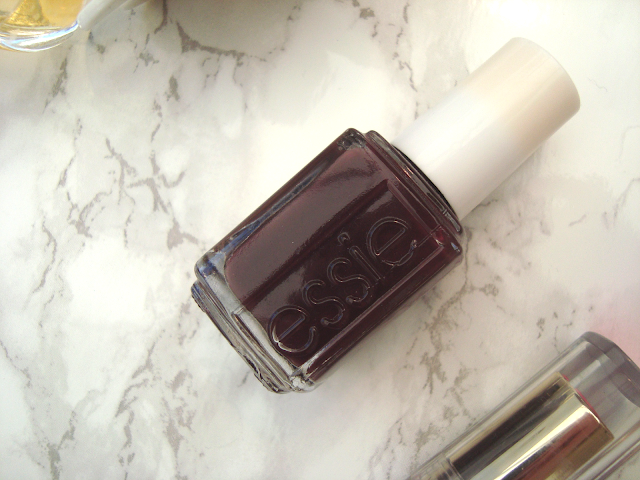 A few days before Christmas I was browsing the Fragrance Direct website where they have a few Essie Nail Polishes for £1.99. I ummed and ahhed over them and eventually bought two, one being Essie's Nail Polish in Carry On. Carry On is a deep, dark, plum which looks almost black in some lights whereas when photographed using flash it looks more of a browny burgundy. It's a gorgeous colour and perhaps one of my faves. I always want to wear dark colours on my nails but get fed up with black so this is a great alternative. I am the first person to hold my hands up and admit that my hair is in terrible condition. It knots quicker than headphones, it has resemblance to straw and it is as flat as a pancake. Why? Well..I'm afraid to say I may have bought this upon myself. Do you want a really horrible confession? I never used to bother brushing my hair. I didn't brush it for a couple of reasons. One, it was so knotted, the more I brushed the worst the knots became. Two, if I brushed my hair it would appear 'shiny' ie greasy and as I have quite greasy hair anyway, this made the situation even worse. Three, I never used to blow dry my hair so would go to bed with dripping wet, un-brushed hair and would awake the next morning with one big, fat, ugly mound of hair on my head, matted into one big knot. Picture it. I'm ashamed, I am. Has my hair got any better since then? Kind of. I have a Tangle Teezer now which makes brushing my hair a lot easier but my hair still gets unbelievably knotty, so much so that it still takes a good 15 minutes to brush them all out. On to the good news! Last week, whilst whingeing to my sister about the state of my hair she pulled out two products from her cupboard which, I like to think were sent from God himself. I used them whilst blow drying my hair and my life has changed. Cringe, I know. Using these two products together has dramatically reduced the time I spend ripping my dry, flat, knotty hair out after washing it and one of these products is from Tresemme. Tresemme Liquid Gold Argan Oil Infused Perfecting Hair Treatment is a lightweight argan oil based hair treatment which is supposed to help nourish the hair and tame frizz whilst making your hair feel velvety soft and leave it with a radiant shine. Does it? Yes! I have never used Moroccan Oil or any other popular argan oil hair products so when my sister told me to use it I was a little bewildered. The thought of putting oil in my hair (which is naturally greasy, yum) made me want to shudder but fear not, it's worth it. I pumped two little drops into my hands, rubbed them together then worked it through the ends of my hair before blow-drying and my hair has never felt so soft or smelled so amazing before. It made my hair feel amazingly soft - it no longer feels dry and limp - and so much more manageable when brushing. It also made my hair look shiny, but not greasy shiny, glossy. I walked out of the bathroom feeling like I should have been on a hair product advert - I was ready to swish my hair around in everyone's face. The only little down side to this product is that I did accidentally get some of the oil on the hair by my roots and it did become very greasy so I needed to wash my hair again but when focused on the ends of the hair it works a dream. 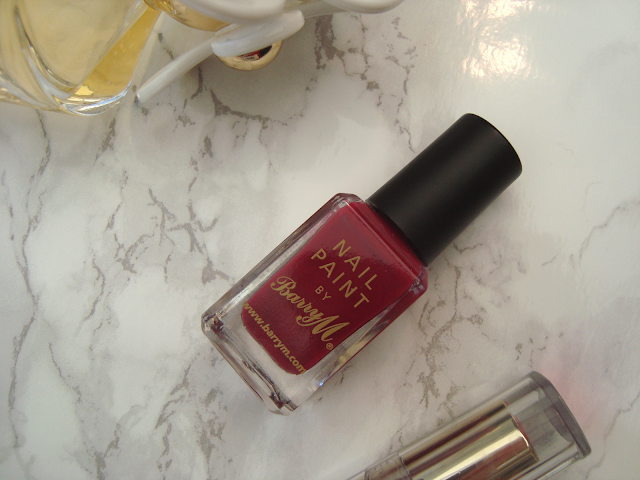 At Christmas I wanted a nice, plain, uncomplicated colour on my nails and after a bit of a searching through my nail varnish collection, I came across this little gem from Barry M.
The colour is called Raspberry and as you can see it's a plain berry red, perfect for festive occasions. I wore it at Christmas and got told I could be a hand model. Not sure if that is a compliment or not. Oddly, I found this Barry M nail varnish one of the easiest to apply. Usually I find they bubble or apply unevenly but this was incredibly easy, and I didn't smudge it. Even more impressively, it didn't take 3 hours to dry like most Barry M nail varnishes either.